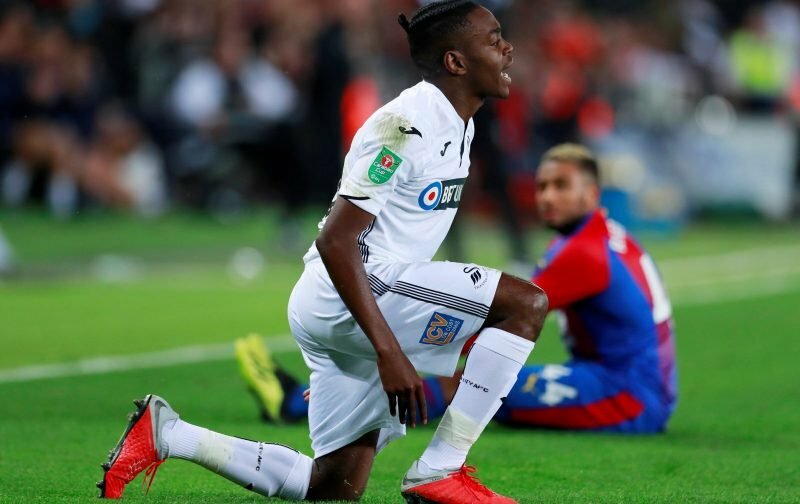 Swansea City’s new Summer signing Joel Asoro looks set for a lengthy spell on the sidelines after suffering a bad injury during Wednesday night’s under-23s game against Villareal B.
Asoro’s injury – occurring just as Villareal started their counter-attack which led to their penalty after 62 minutes – meant that the game had 9 minutes of injury time as the Swede was lying down for some time before being stretchered off. There are early rumours that Asoro has broken his leg but of course, we hope that those are false and it isn’t anywhere as bad as feared. We all wish him a speedy recovery. 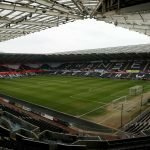 The 19-year-old has struggled for form in the Championship this season and it was not a great surprise to see him starting for the under-23s to help build up his confidence. The teenager started in our first three League games but after failing to impress, he was dropped to the bench for the visit of Leeds United. He made four more appearances from the bench but was left out of last Saturday’s squad at Middlesbrough. Declan John was the other senior player in the starting line-up for the under-23s against Villareal B as Cameron Toshack’s side scored a 98th-minute equaliser via Maric to take a point in their Premier League International Cup campaign.